I skipped my food blog yesterday—sorry. So, to make up for it, I’m sending you an invitation to request a copy of my family’s favorite dish from the Christmas even Seven Fishes Dinner–squid in tomato sauce over linguini. Just comment with your email and I will send it. 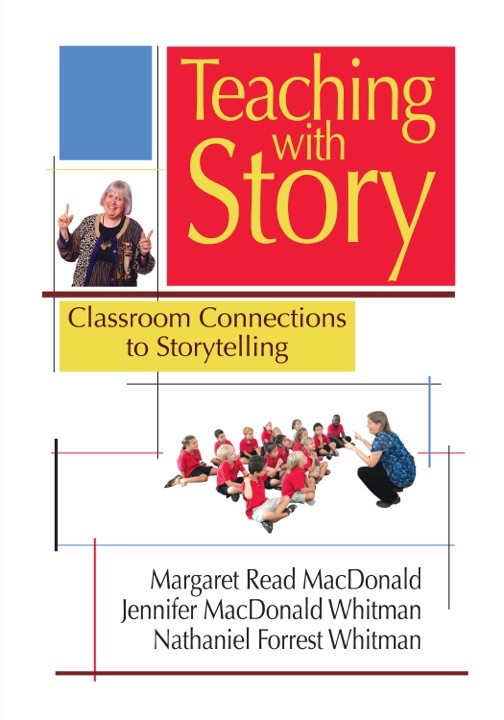 My review of the book, Teaching with Story is worth repeating–so I will, this time with a view to being read by parents, not just those who are homeschooling! You can judge this book by its cover because it delivers exactly what it promises and the names on the cover provide a pedigree of storytelling that is beyond compare and lives up to its reputation within the covers of this slim volume. I could use dozens of adjectives to describe how this book will enrich your storytelling in the classroom (or as a professional, your ability to craft programs and grant requests that will cleave to current core content requirements. But basically there is not much more to say than the simple statement that this book does it all, does it well, and teaches what it does by example within the book and by example in its very writing. Margaret Read MacDonald is one of the premiere folklorists and storytellers of our time. She is equally at home on stage and with her pen, She shares her story finds and technique tips generously. Her coauthors in this book are a testament to that skill and her example. Jennifer is her daughter and Nathanial, her son-in-law. Both of them are teachers. So, MacDonald brings her years of experience as a librarian, writer and teller on stage and in classrooms and joins it with two teachers whose love of story and sharing story come from her example. They contribute their expertise in the daily life of a classroom and curriculum. The combination is electrifying. I found myself wanting to underline every other sentence. It’s a book to read, to mark for future references, to enjoy. The structure of the book, as well, teaches, It starts with a story–Grandfather Bear is Hungry, and uses the thread of that story’s lessons throughout the book’s chapters on Community, Character, , Communication , Curriculum and Cultural Development, and beyond. In addition, she gives us other stories to share and teaches how we can find our own stories to share. This is a book that belongs in the hands and heart of everyone who loves a good story–parents, teachers, librarians, professional story performers. Have I left anyone out? If so, loan your copy of the book to them. They will enjoy it too. 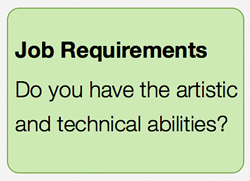 Are you able to fulfill the client’s artistic and technical requirements? VoiceMatch scores aside, some of the criteria a client has may be more specific and go beyond what our systems can match for. At this stage, you’ve got to think like an agent and evaluate opportunities at this level objectively. To do this, you have to know your voice and its capabilities. Be honest with yourself both in terms of your artistry and technical skill. You will also need to balance this information with your own personal interests and desire to pursue the opportunity should you meet the project’s artistic and technical requirements. This area may very well be one of the hardest for talent to master because everything looks so good! Every role, script and project presents fresh opportunities, copy and inspiration to tackle. Let’s not forget though that time is finite. With this truth in mind, you may need to pass on opportunities that look like fun but may not at this juncture be income generating. Like any good businessperson, you’ll need to consider whether or not the actual doing of the work within the client’s budget is in line with the fees you would charge for the job. 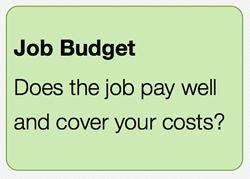 In other words, would you be able to cover your own costs doing the job at the rate a client has stated or for within their budget range? Although it may seem like this would be a pretty cut and dry consideration, even seasoned voice over professionals may be interested in a job that might have a budget lower than what they would typically work for and struggle with whether or not they should submit. Sometimes a piece of work strikes a chord with you and the budget plays second fiddle to your personal interest and desire. Ultimately, it’s your call. Lastly, do you have the time to devote to the work? Are you able to send in a read for consideration? Check your calendar! Time is one of those limited resources. If a client needs the work to be done by a certain date, you need to have an opening in your schedule that accommodates that need. This is of particular importance for jobs where a client participates in the creative process. If you can’t complete the recording or have it delivered by the time a client requires it, this is one of those situations where it is better to err on the side of caution and pass on the audition. Not all jobs require that you are working at a certain time of day but some do, especially if it is an ISDN session or one where you need to be directed. Let me know if you’ve found this helpful! Check http://www.thesunnews.com for my review of cookbook with foods to help prevent Alzheimer’s disease. am working on a book review that I think is useful for parents as well as teachers and professional tellers. the authorship tells the advantages of setting a good example. and written it with her daughter Jennifer read MacDonald Whitman and son in law, Nathaniel Forrest Whitman. Look for this book. Review will appear in the blog later this week. My first appeareance at Bookclub! Readers of my book Giulia Goes to War at Carolina Shores Book Club! What wonderful people! They were a kind group of questioners and had a little reception for me too!